Y conste que las imágenes son una filtración, intencionada o no, en estado WIP! Hoy he recibido esto, parece que hay rebajas del 21 al 27 de Marzo de 2013, y se anuncia que seguirán los pasos de X-Plane y también se pasarán a los 64 bits! 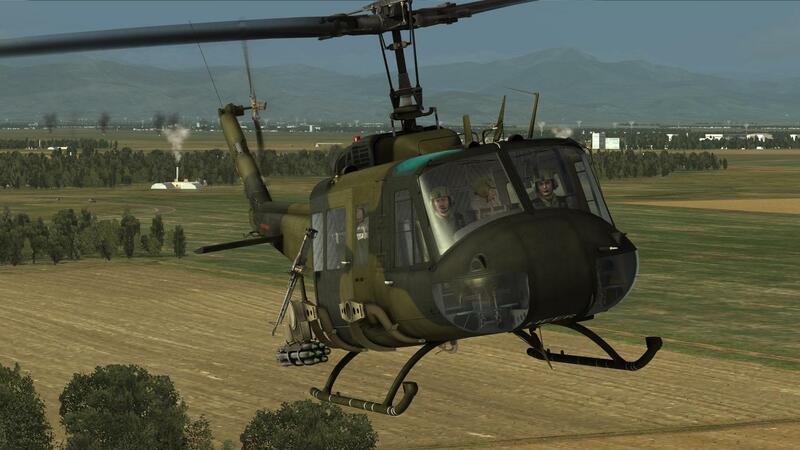 DCS: Combined Arms gives you control of air and ground forces during the battle. Use the Command Map to move and task air and ground forces, set artillery fire missions, and control the ground battle. Assume the role of a Joint Terminal Attack Controller (JTAC) in multiplayer and designate targets for player-controlled close air support aircraft, or directly control armor vehicles or air defense weapons to engage the enemy. DCS: Combined Arms supports both single player and multiplayer game play. When in multiplayer, different players can take on different roles such as artillery commanders, tank commanders, pilots, JTACS, etc. DCS: Combined Arms allows you full control of the battle. All roles can be changed dynamically during the battle. • Move and task air and ground forces and direct their fire during a mission. • Be the Joint Terminal Attack Controller (JTAC) and direct close air support in multiplayer. • Jump into the seat of many armor and air defence units to engage enemy air and ground forces. 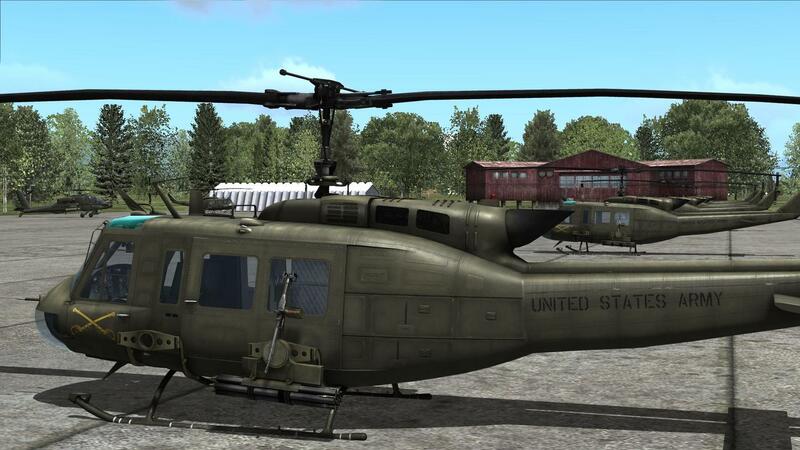 Further updates and improvements will be made to DCS: Combined Arms. The new 1.2.3 update to DCS World and DCS Modules is now available as an auto-update, or downloaded directly from www.digitalcombatsimulator.com. This update includes a number of new, free DCS World features including a new DCS World Su-27 model, new triggers, and new scripting tools. It also includes major new features to the Combined Arms and Flaming Cliffs 3 modules. In addition to adding new features, this update includes many bug fixes and adjustments like missile performance, network game stability, force feedback joysticks, and a lot more. As we move forward improving the DCS World environment, we are more and more often running into roadblocks that prevent us from doing so due to supporting 32 bit operating systems. This includes larger and more populated worlds with greater terrain mesh details and textures. By moving to 64 bit support only, we will be able solve this and allow larger missions with more units, and it will allow us to improve visual effects. This change will be coming in the next few months. Currently the team is focused on completing Flaming Cliffs 3 and continued updates and improvements to DCS World. Once Flaming Cliffs 3 is complete, more of our focus will shift to upcoming DCS titles like the F-15C, F/A-18C and Fw-190D9. Looking further out, Eagle Dynamics and our partners plan a large number of new modules that include the Su-27SM, F-86F, MiG-15Bis, MiG-21Bis, Hawk, Mi-8, Mi-24, OH-58 and AH-1G, to just name a few. The team is also hard at work on many updates and changes to our world rendering system, which will allow us to make new and much more detailed worlds than we have now, including the Nevada map. We hope to have these changes in place before the end of the year. With the combination of a large and varied stable of aircraft, along with upcoming new maps, we will continue moving forward toward our goal of DCS World allowing combat missions over a wide array of time periods and locations. While our products initially started with a focus on modern day jets, this is now expanding to include World War 2, Korea, Vietnam and modern day content. el Bell no salía a finales de año? Uu FW-190!!!! !, un F-18!!!! esta gente no para! Así es, palabras de los developers lo tenemos terminado pero vamos a tardar un poco mas queremos hacer las cosas bien. Y aquí tienes el motivo ED Forums - View Single Post - Any new info?! Ejemplos reales a día de hoy. Se está poniendo el tema muy serio con los derechos para desarrollar según que avión o aerolínea. Y tiene pinta de que la cosa va a ir a peor. PMDG no puede hacer nada de Boeing para P3D por ser de Lockheed, Carenado y otros las tuvieron con Cessna y Piper y ahora ésto. Empiezo a pensar que el mercado de la simulación doméstica no es tan sumamente pequeño como algunos pretenden hacernos ver. Cuando los tiburones asoman la aleta es que huelen sangre fresh. En este mundo tal y como están las cosas, si de algún sitio puedes sacar pasta, ahí que van!!! al cuello y exprimir al máximo, sobre todo estas grandes empresas que tienen un buen gabinete de abogados. 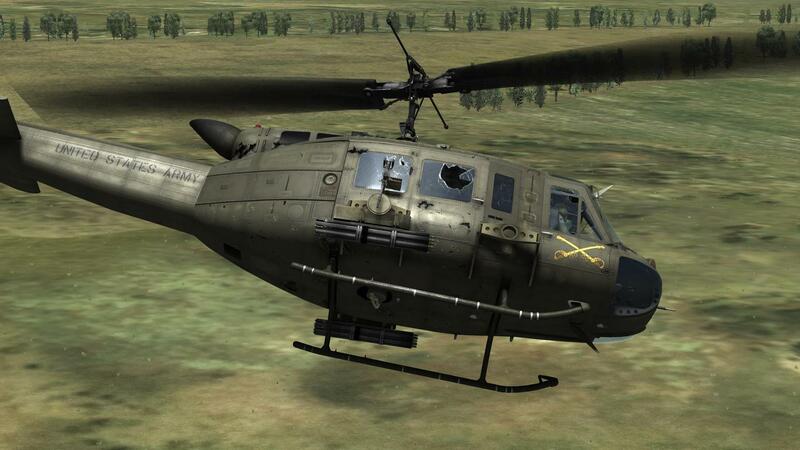 PEDAZO DE ALICÓTERO, no me ha atraído mucho el Combined Arms, ni el P-51, pero viendo el UH-1 .. me lo pillo seguro!, volar un Helo (Y UN AVIÓN) de DCS es un PLACER y lo mejor, todo un reto. A la mierda los derechos, yo no puedo esperar mas! !